The simplest food sometimes is the tastiest. 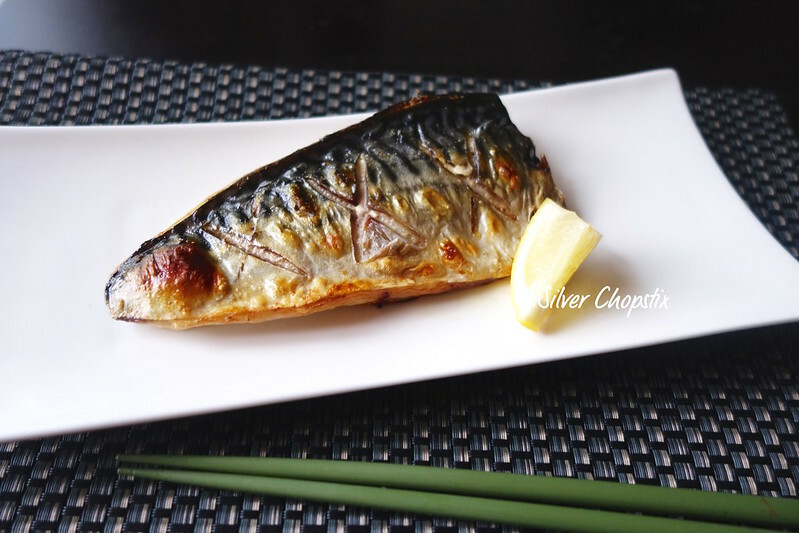 I made this salt broiled mackerel to pair with the chop suey for dinner. This is very easy to prepare. 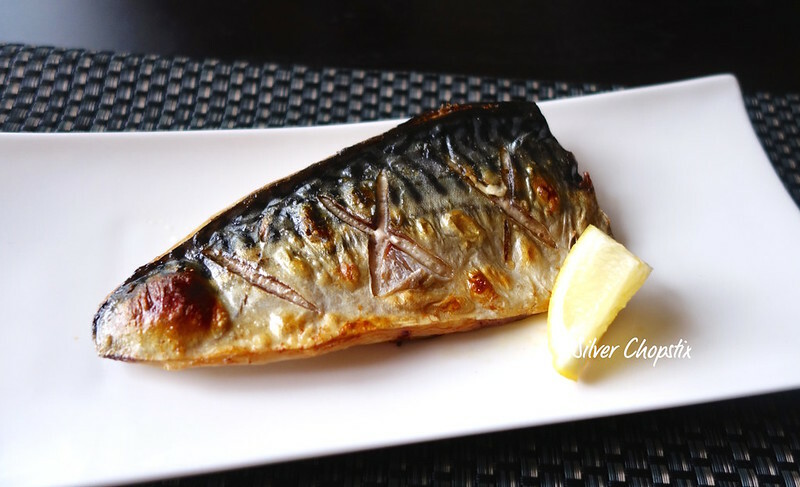 You will only need three things, fillets from 2 mackarel (I used norwegian mackerel), kosher salt and a little oil. Rinse your fillet and wipe it dry with paper towel. Make a cross cut on the skin side of your fillet. Liberally sprinkle both sides of your fillet with salt. Let it stand for 30 minutes. Meanwhile, set your oven to broil and line a baking sheet with heavy duty foil. Lightly grease your pan with oil to prevent fish from sticking. Run your fillet under running water to rinse off salt and pat dry with paper towel. Lay your fillet on the baking sheet and broil until golden brown and skin looks nice and crisp. Don’t forget to turn the fish once 3/4 of the way of cooking time. Serve with lemon wedge on the side. 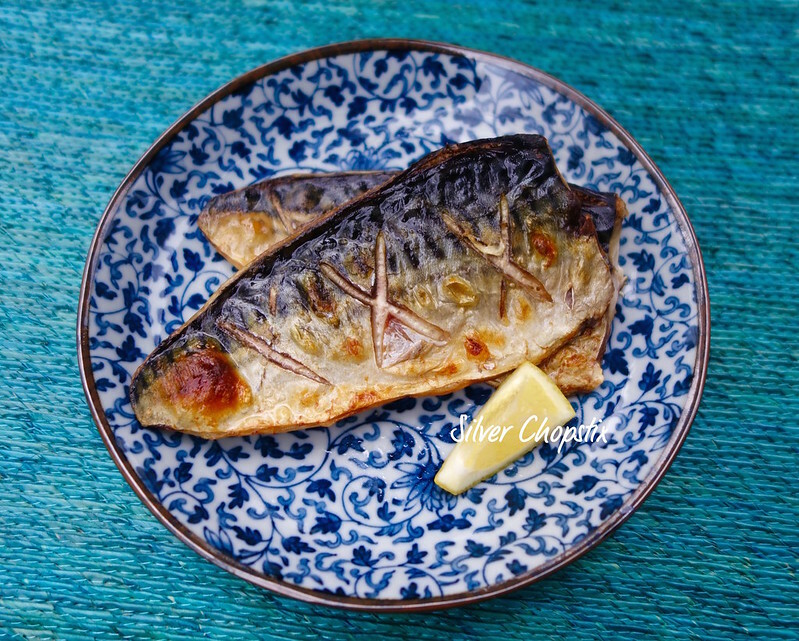 You may also use ponzu as dipping sauce.